Side hustles can be a lucrative source of income. 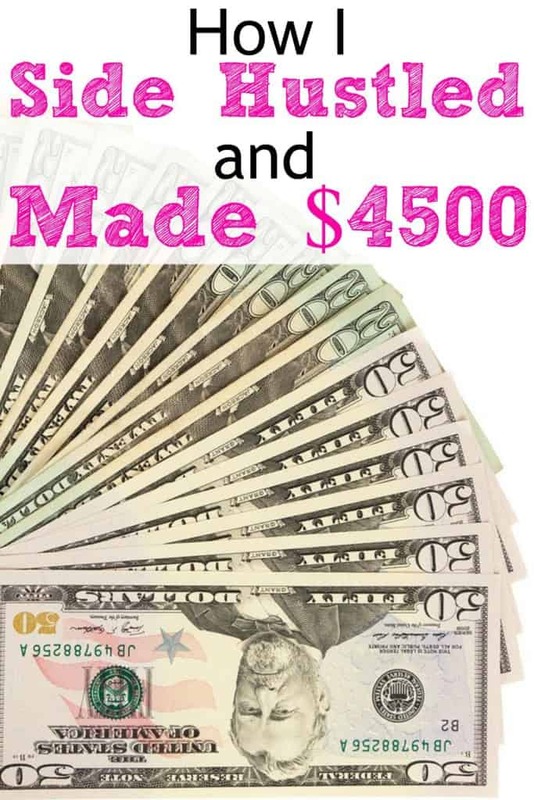 I thought I would list how I made over $4,500 in one year from various side hustles. My favorite side hustle is blogging. I recommend grabbing the free 7 Ways to Boost Your Blog Income Overnight guide so you can learn how to increase your income this year. I also recommend signing up for this free live video training about how you can start your blog ASAP and make money from blogging. At the time of publishing this post, I was still working at my day job! Even though so much has changed now that I'm a full time blogger and have online businesses, I still am in full on work mode! 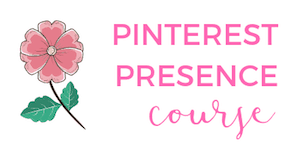 While this post has been updated for 2019 – the original post was created in 2015 – I still side hustle all the time. 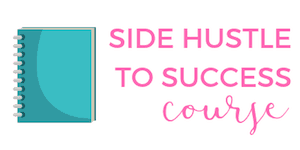 Because so many people ask me about how to get started side hustling, I thought this post would be fun to share because it's still incredibly relevant. To this day, I still do the same side hustles on this list! My side hustles have come from a variety of resources this past year. This does not include income from my day job and is not from any kind of part time job. I have side hustled off and on the past couple years, but this is the first official year I have tracked all the incomes I have earned from my side hustles. This makes up the majority of my side hustles from this year. I really enjoyed this as I love dog sitting. I worked from home the first part of the year, so I signed up for free with Rover. I provided daily (and some overnight) pet sitting and walked dogs on my lunch breaks and days off. One of the best perks of this job was it required no transportation costs. All customers came to me and all my dog walking clients live within a couple blocks from me. I cannot even begin to tell you how inundated I became with requests to pet sit and dog walk! Customers loved that I was home all day long with their dog and was able to provide a lot of love and attention to their pooch. For day and overnight visits, typical pet watching services ranged from $35-60 a day/night. 20 minute visits/dog walks typically pays $20, and I received requests to walk dogs multiple times a day as well. Pet sitting and dog walking is one of the best side hustles I had and can be a great source of income. It also is a great way to get in some exercise! If you love animals and want to start pet sitting or dog walking, learn more here. This is one of the easiest side hustles I have done. The app I use the most is Ibotta. This cell phone app helps you make money off your grocery receipts. Yes, this is for real! You use it after you go grocery shopping and use your receipt. It’s basically a rebate app, so you can earn anywhere from 50 cents to $5 off everything you buy. My favorite part about Ibotta is that it’s not always brand specific, like a lot of coupons are. So you’ll be able to scan “any brand of bread” for 50 cents off, etc. If you do coupon – you can STILL use Ibotta and get a rebate. For the diehard couponers out there, this will often result in getting an item for FREE. Sign up here and you will receive a $10 cash bonus when you make your first scan! This side hustle relates to my day job. A couple of businesses reached out to me to see if I could help with some organizational paperwork. I helped these small businesses with renewing business licenses, reviewing CEU classes, resale certificates, etc. This was an easy job for me, I enjoyed it and completely worthwhile. If you work for a company that networks, see if you are able to pick up extra work in your spare time! This is one of my favorite side hustles! I only did a few of these, but each panel study was pretty lucrative, with each one paying between $75 – $200. I was rewarded in cash and prepaid Visa gift cards. Each study was completed in a 1-3 day period, and I had to log online and answer questions for about an hour a day. The panel studies I qualified and completed included kitchen products, as well as a separate survey on my lunch habits. My favorite panel studies can be found here. It teaches you how to find panel studies along with a list to all the panel study websites, as well as a ton of other ways to make money from mystery shopping, using your laptop to make money, how to use your cell phone for surveys, etc. Here's a few FREE amazing surveys that I like to take on my cell phone, laptop and tablet when I'm sitting around the house or have down time. I also received a lot of free stuff in the mail from filling out surveys! I received a number of products in the mail for free to sample and give my opinion. This includes a really wide assortment of products, like paper towels, dog food, shower gel, shampoo and conditioner, alcohol, make up and beverages. All products were full size (no trial sizes) and I was allowed to keep everything I was sent. I used every product I received and this actually helped me save money! I also earned points for completing online polls and shopping online with Ebates. Ebates is my favorite way to make money when I shop online. Every time I shop online, I start at Ebates and then I get cash back deposited into my PayPal account. Hello, free money! If you want to try Ebates, here's a free $10 gift card to places like Target when signing up! If you want to make money from home, surveys are the way to go. While I didn't start blogging until the end of the year, I was able to start making money within four months. I'm not counting my blogging income towards my side hustle income, because I want you to see all the other ways I've made income. Eventually, I went from making $40/month to over $4,000/month in the span of six months. That's crazy! Blogging changed my life. 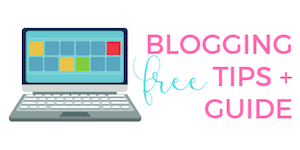 Grab this free goal setting workbook for your blog as it's a great way to set goals! If you want to start a blog, Bluehost is the best way to get started. If you are thinking about starting a blog, here are over 120+ blog ideas help you start a blog today. You’ll also get a FREE domain name for a year. I am really glad I took a chance and started a blog! I invested around $100 to start my blog and made $13,000 in 6 months of blogging. That’s the best return of investment ever! You can read my very first online income here where I made my first $60! I was also able to quit my job and blog full time, all within my first year of blogging. While I love to side hustle, it's also important for me to save money. You can make all the money in the world, but if you spend it all, that's not good. Digit – this is a money saving app. It has a free trial but then costs around $2.99 a month to use. I automatically transfer cash to this account ( a few dollars at a time) and it's a really easy way for me to save money. Qapital – this is a totally free app to save money. Similar to Digit, you can just transfer cash over to a savings account and it's super easy to use. Become an AirBnB host – I've thought about turning my rental home into an AirBnB. You can rent out a room in your house or even your entire home. This is a great way to earn extra income and seems like a lot less work (and stress) than renting your home. Sidenote – If you like to travel, try staying at an AirBnB instead of a hotel. This a fun and creative way to save money. Over the past couple of years, I have stayed at a handful of AirBnB's and saved a ton of money, had much more space and really lived like a local depending where I was staying. I've been able to rent an entire house, condo and apartment instead of a room at a hotel. If you want to stay at an AirBnb, here's a coupon for $40 off your first stay anywhere! Were all my side hustles worth it? 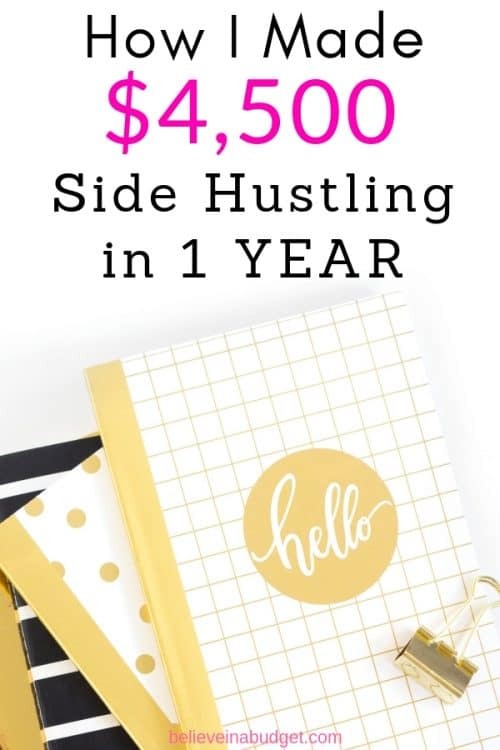 I made $4,556.55 from side hustles in one year. As you can see from above, using my free time to side hustle really paid off for me this year! I was able to use this extra income to pay off some debt, put some away in savings and go on a vacation. What did you do to earn extra money? 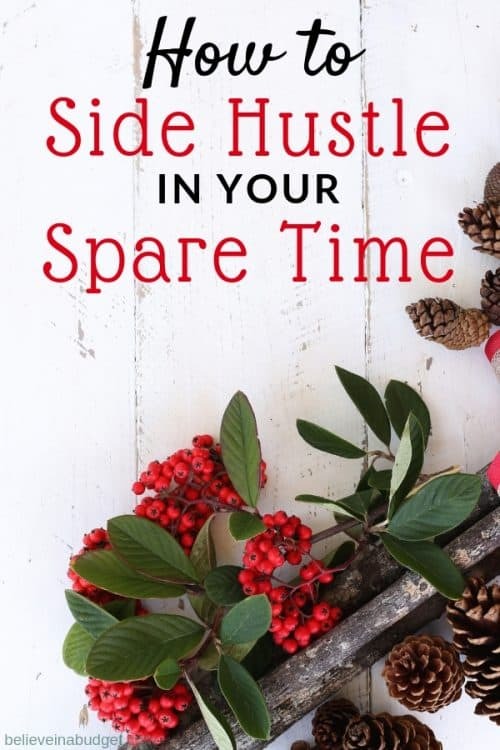 Have you ever done any side hustles? Hi, I would like the link to the panel website also. Please and thank you! What a great post and for me so timely as trying to pay down credit card debt. Could I please get links to the various panel study companies as well as for product reviews? Thanks again for this useful info. Here’s to living debt – free! Where did you sign up for the panel studies and the free products to review? I’m very interested in those. Thank you! Can you please send me the link for panel studies? Thanks so much for the tips! Will you please send me the links for study panels and all the other sites as well? I would greatly appreciate it! Hi I’m also interested in how you presented your services to small businesses. Not knowing everything they need to renew it would be difficult to offer those services, even though I’m very confident I could accomplish the renewal processes for them.